Awesome Naruto Watches – Time to Be a Hero! 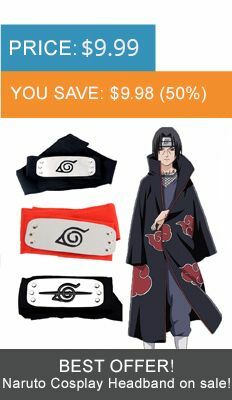 Hokage Store offers another type of Naruto accessories which you will surely find absolutely cool. Naruto watches is a great choice: it’s not only a collectible for fans but is also a useful item. Here at our store, you can find plenty of models including outstanding pocket watches. Find a model with one of your favorite characters, or maybe you prefer watches with the symbol of Konoha? We’ve got them too! Naruto watches are an astonishing present for any fan of this famous anime series.